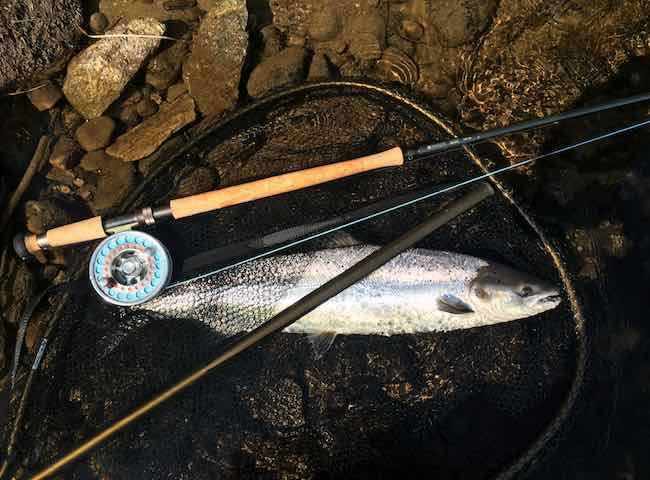 There's nothing in the world of outdoor pursuits that compares to the thrill and sense of achievement from catching a wild Atlantic salmon on the fly rod. Take the test and see for yourself this year. 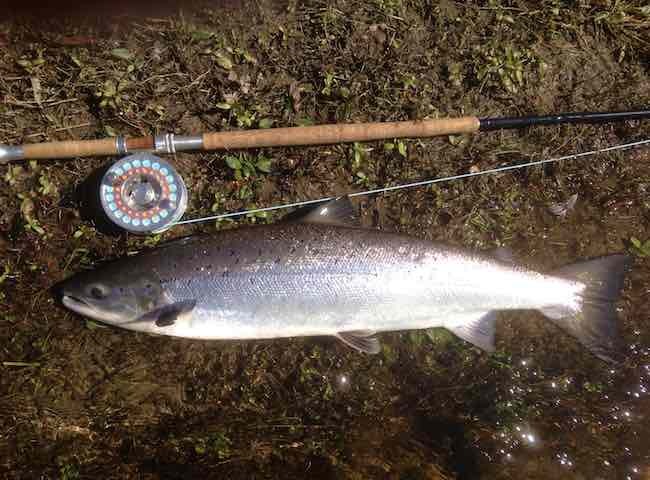 Here's a fine example of what a fresh run River Tay salmon looks like. Don't underestimate the skill and tact required to achieve this scenario and let our professional staff show you exactly how it's done. 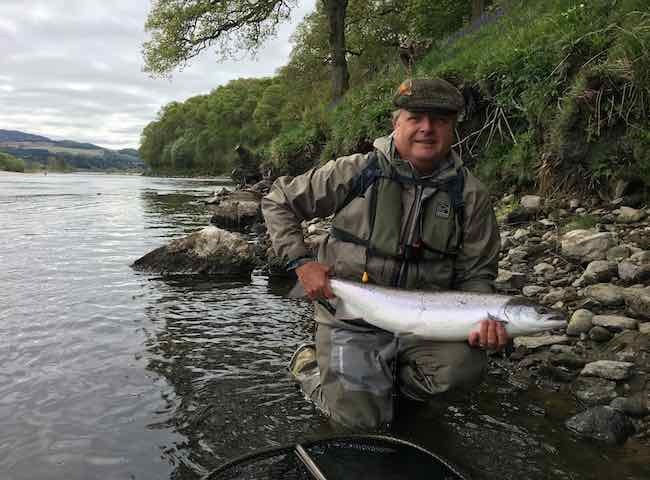 Here's a picture of a perfect fly caught River Tay salmon which hopefully will inspire you to consider a personal introduction to the 'King of Fish' on your next hospitality day out. 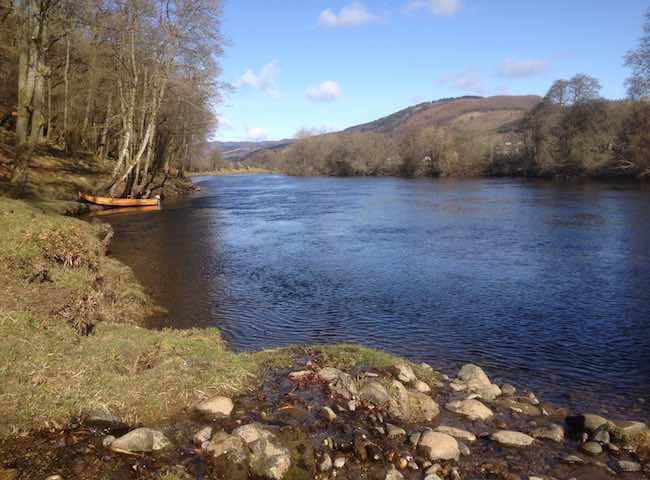 Here's a lovely fresh and bright scene from the famous River Tay during early Spring. 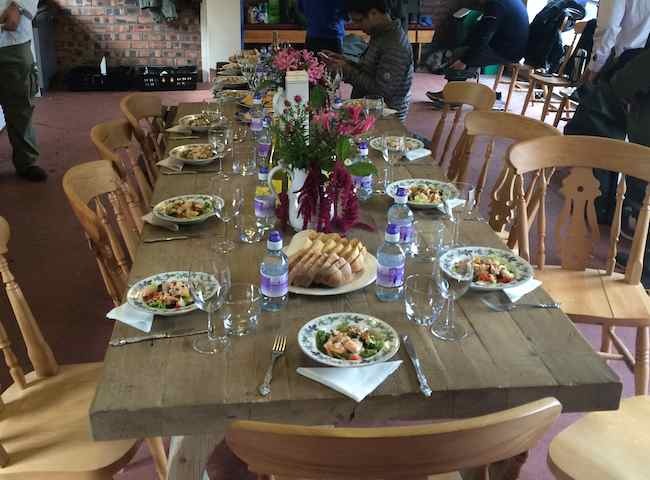 A salmon fishing event & quality gourmet lunch makes a fantastic day away from normal business duties. Here's a fantastic fresh run Spring salmon which was caught from the River Tay during May. Now is a great time to select your Spring salmon fishing event dates for 2019 while availability remains. Here's a welcoming scene after a morning out on the beautiful River Tay. A quality lunch served in a luxury fishing hut is the perfect way to re-energise yourself for the afternoon salmon fishing session. Here's a close up shot of the world's most sought after gamefish. 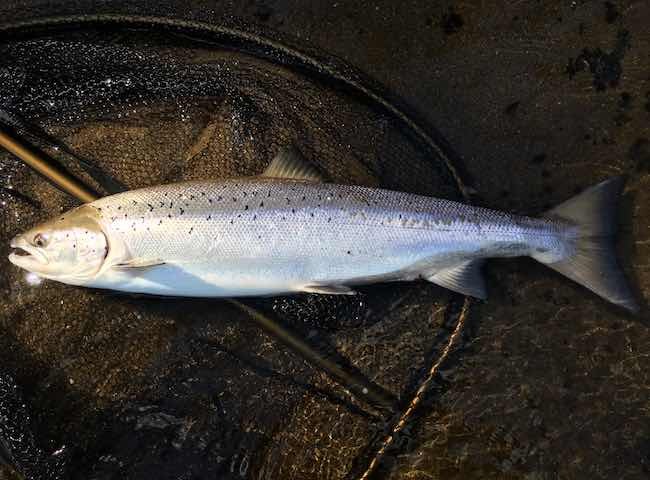 This is a fresh run Atlantic salmon which was landed on the River Tay during the highly scenic fishing month of June. Skill and understanding that goes into the successful capture of a salmon with a salmon fly rod. 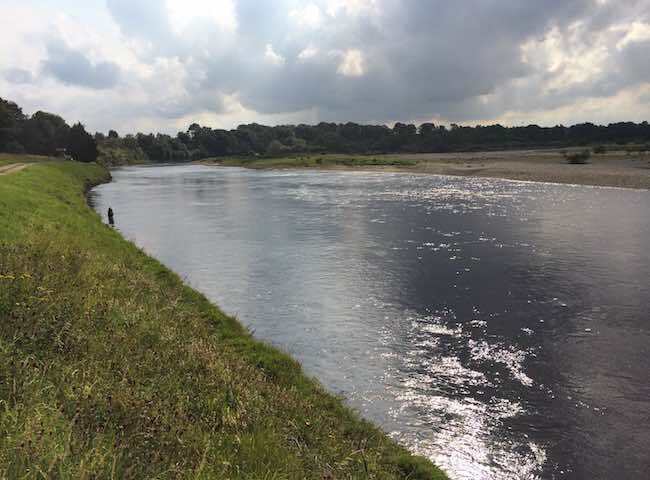 A River Tay salmon fishing event will provide you with an effective undertanding of the skill set required. 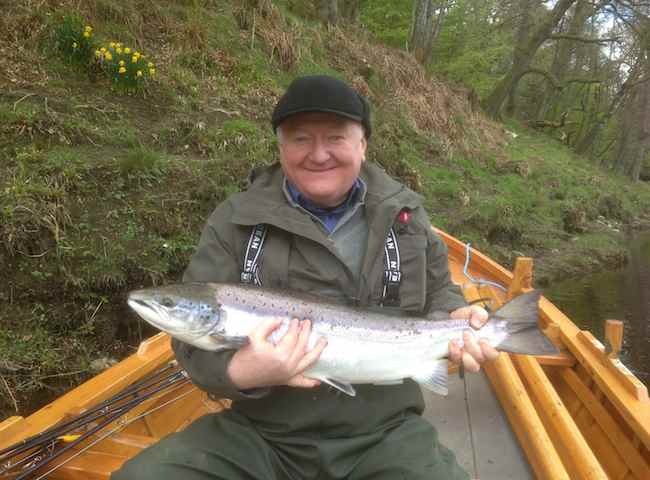 Here's a shot of a very happy salmon fishing guest with a perfect fresh run River Tay Spring salmon. 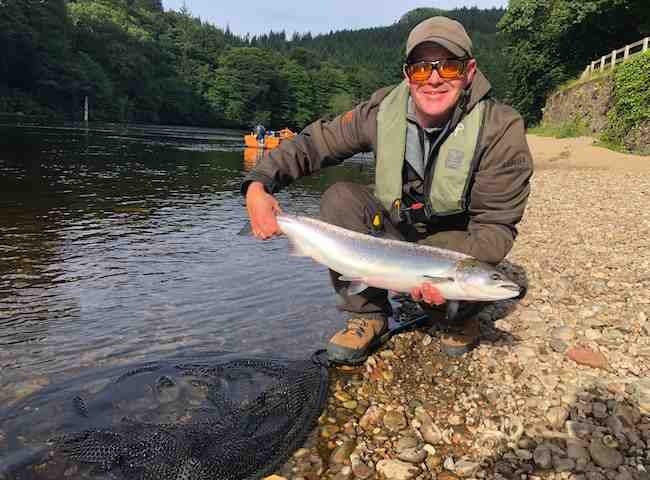 Treat yourself to a quality introduction to Scottish salmon fishing during 2019. Proper presentation for a salmon fishing event should never be underestimated. 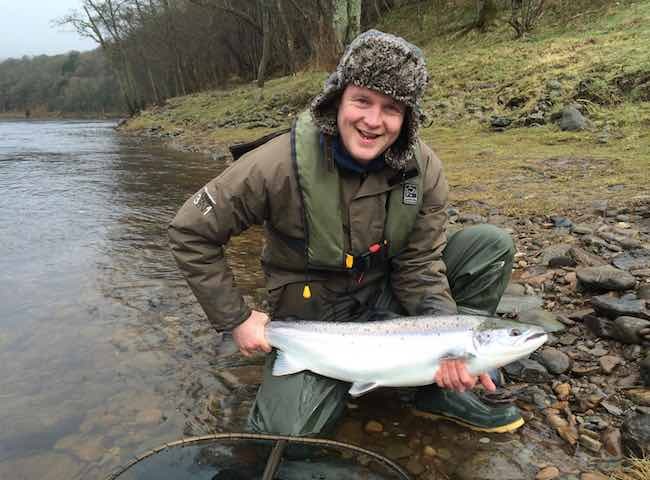 Bringing together a top chef and the best guides on a quality River Tay venue takes careful long range planning. Test your ancient hunting skills out on God's most astute fresh water gamefish. 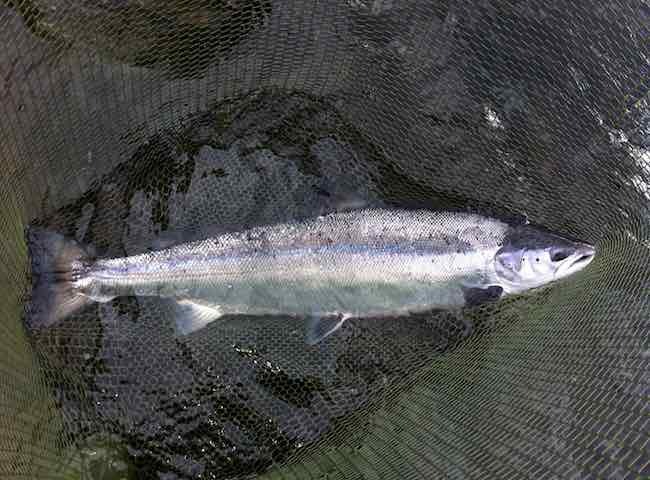 It takes tact, skill, perseverance & professional salmon guide tuition to tempt one of these to take a salmon fly.